On Sunday, when you're sitting around the TV watching the Super Bowl, when you reach for the chips and guacamole, think about this. Americans will eat 104 million pounds of avocados on that day alone. The average American now eats seven pounds of avocados a year. The demand has made a lot of farmers in Mexico rich, but it's also drawn the attention of organized crime. NPR's Carrie Kahn reports. 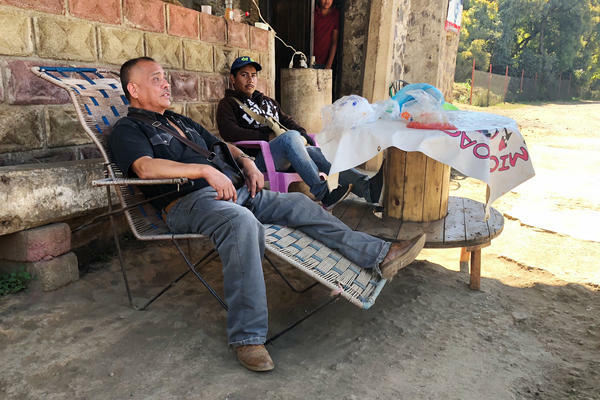 CARRIE KAHN, BYLINE: In Tancitaro, a small farming town of about 30,000 in western Michoacan state, Super Bowl Sunday is a big deal but not because of the sport. KAHN: "Oh, we know when Super Bowl time," says Hugo Naranjo, the manager at Frutas Finas packing plant. "Our production jumps," he says. 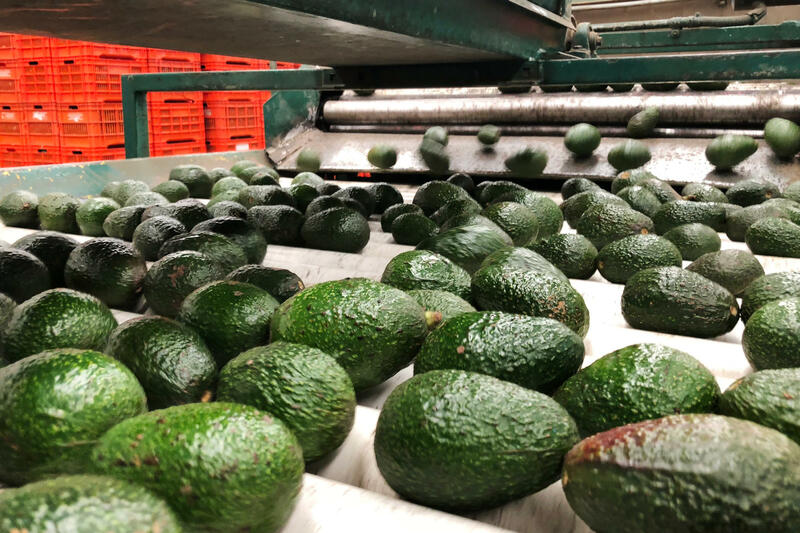 Since last month, the plant has been packing 40 to 50 percent more avocados than normal. ARTURO OLIVERA GUTIERREZ: (Speaking Spanish). KAHN: "We produce more avocados here than anywhere else," boasts Tancitaro's mayor, Arturo Olivera Gutierrez. Reportedly, town exports top a million dollars a day. KAHN: "That's given Tancitaro a lot of healthy income and tranquility," he says. That's not something a lot of mayors in Michoacan can say. 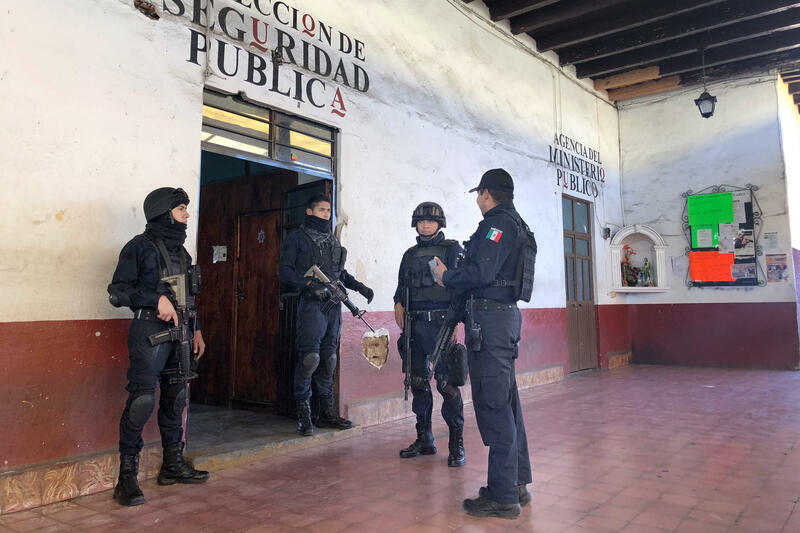 The state, long a key center for some of Mexico's most vicious organized crime gangs, was just slapped with the U.S. State Department's highest advisory, warning travelers not to go there. Mayor Olivera says his town was once very dangerous. As avocado production grew, drug cartels moved in, realizing they could make good money extorting growers and packers. KAHN: "They were the ones that made the rules and enforced them," says Olivera. Farmers and packers had to pay taxes to the gangs. If someone didn't comply, Olivera says bodies would be put out for everyone to see with warning notes attached. 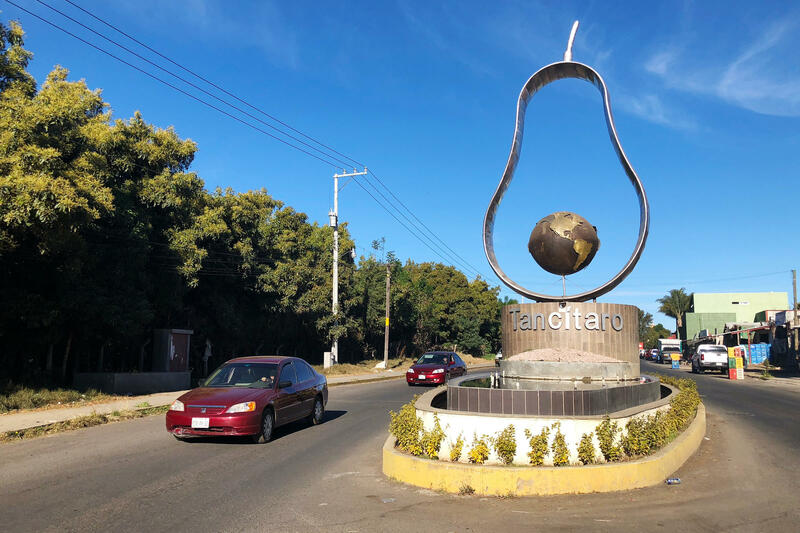 In late 2013, Tancitaro's residents said enough, and like many towns throughout Michoacan, took up arms, forming self-defense groups to drive the gangs out. Tancitaro went a step further and built a solid police force. JOSE ANTONIO FLORES QUEZADA: (Speaking Spanish). KAHN: Assistant Police Chief Jose Antonio Flores Quezada is out on patrol. Like many on the force, he and his family have long been in the avocado business and were long extorted by gangs. KAHN: "You just felt robbed," he says. "You work and give your all to your land and then someone just takes it," says Flores. By early 2014, Tancitaro had 80 new officers trained and ready to go. Only locals can apply. 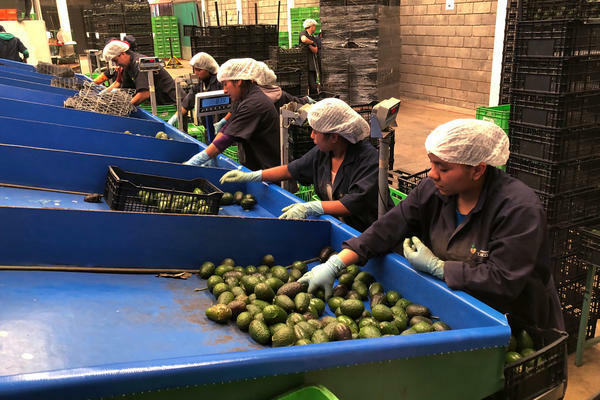 Their salaries come in part from local avocado growers and packers who yield much power and influence over the town, the other half from city coffers. KAHN: Flores steps out of the patrol truck, 1 of 8 checkpoints set up on roads in and out of Tancitaro. KAHN: Here, a crew of eight men have been on watch. They're hanging out in chairs in front of a brick-and-concrete barricade that looks like a medieval tower. Some play cards to stay awake through the last hours of their all-night shift. KAHN: They're part of a civilian volunteer force that was formed alongside the police and report any suspicious activity. 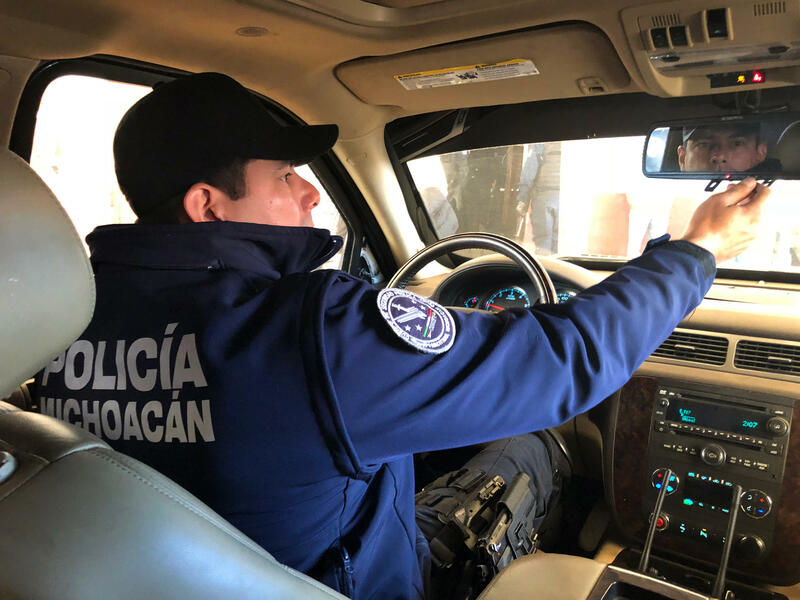 Chief of Police Jose Hugo Sanchez Mendoza says they are vital to the town's safety, as well as the backing and support he gets from every Tancitaro resident. JOSE HUGO SANCHEZ MENDOZA: (Speaking Spanish). KAHN: "You could say we're 80 police officers, but we're really 30,000 strong," he says. While other Michoacan self-defense groups have either withered away, been co-opted by cartels or disbanded by the government, Tancitaro's police force now moves into its fifth year. KAHN: Police Chief Sanchez says its success is due to the love and trust his officers have built with the community. It also helps that worldwide demand for avocados remains high, providing a healthy income for officers and residents alike. Carrie Kahn, NPR News, Tancitaro, Michoacan. Transcript provided by NPR, Copyright NPR.